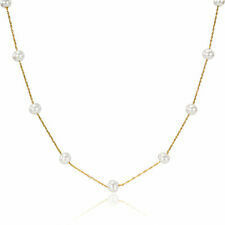 Metal: White GoldStyle: ChainLength: 24 - 29.99"
From United KingdomMetal: Sterling SilverStyle: ChainLength: 18 - 19.99"
The necklace is strung on double silk threads, knotted between each pearl for security and durability, finished with a very elegant. pearl size: 10-11 mm. 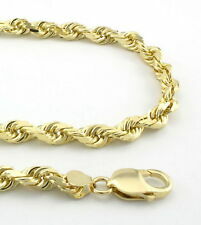 Q: Can l get my necklace or bracelet in a longer or shorter length?. From ChinaMetal: Yellow GoldStyle: ChokerLength: 18 - 19.99"
Estate sterling silver ball bead necklace. All photos has been enlarged. New Listing14KT YELLOW GOLD LARGE 3-D HAWAIIAN PINEAPPLE PENDANT 5gr. Hawaiian Pineapple Pendant. 14K Yellow Gold signed on bale. Would make a great gift! 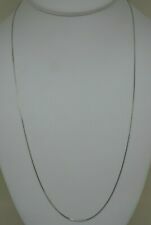 From United KingdomMetal: Rose Gold PlatedStyle: ChainLength: 18 - 19.99"
Stone: Natural White Rainbow Moonstone. 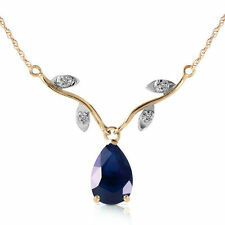 (This Product is 100% Original Certified 925 Sterling Silver ). Quantity: 1 Piece. 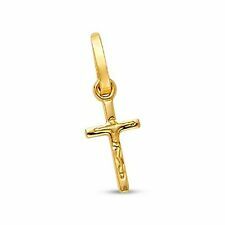 From United KingdomMetal: Yellow Gold PlatedStyle: ChainLength: 18 - 19.99"
Style: ChokerTheme: BeautyLength: 18 - 19.99"
Product ID: 753300. Profile: Pendant. Ring Sizes. Natural Stones. STAMPED 925 - ALL SIZES 14" 16" 18" 20" 22" 24" 30" 36"
Product ID: 753401. Profile: Pendant. Ring Sizes. Natural Stones. Luster :Excellent Luster AAA. 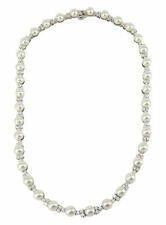 pearl size:16 mm 925 silver. Best Quality, Reasonable Prices and Best Service. Length(Approx): 18“. And we will do our best to solve the problem and give you a satisfying answer. Condition: New. Theme: Hobbies & CraftsLength: 18 - 19.99"
Main Stone:Natural Larimar. 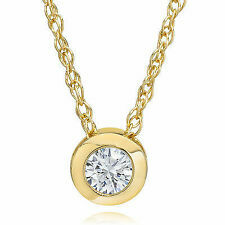 This pendant not include chain. Color：Blue. All products are quality checked. Otherwise deal is final. We will be happy to resolve any issues you may have in a cordial and friendly manner. Natural Gemstones. or opening disputes. We believe in solving the issues. United Kingdom Rate of item arrived 10% 70% 10% 6% 3.9% 0.1%. France Rate of item arrived 2% 10% 20% 40% 20% 8%. United States Rate of item arrived 40% 50% 6% 3% 0.9% 0.1%. Germany Rate of item arrived 2% 10% 20% 40% 20% 8%. Most issues can be resolved with simple communication. Condition: New. Colors may appear different on each computer monitor. STAMPED 925 & ITALY - ALL SIZES 16" 18" 20" 22" 24" 30"
Metal: Rhodium PlatedLength: 20 - 21.99"
Delightful Engraved 14K Solid Yellow Gold Cupid "Love" Pendant or Large Charm! Complete with Large Hallmarked 14K Bail! Expertly Crafted, Fully Hallmarked at Two Places and in Mint Condition!. 14KT YELLOW GOLD LARGE 3-D HAWAIIAN PINEAPPLE PENDANT 5gr. 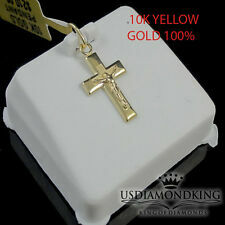 BEAUTIFUL 10K YELLOW GOLD CROSS PENDANT. Fine necklaces and pendants make a beautiful gift for your daughter's birthday, your mother's anniversary, or just for you if you feel like treating yourself to something special. The huge inventory of precious metal and gemstone necklaces on eBay makes it incredibly easy to find the perfect gift solution for any occasion. Browsing on eBay reveals an exciting range of purchasing options. Sellers offer brand new necklaces, with original gift boxes and packages, and classically designed vintage jewellery that is difficult to find in stores. Search for single pieces that stand out in the crowd, or bulk purchases of several items so you always have the perfect accessory for your outfit. 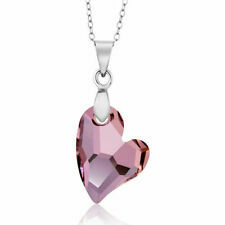 Birthstone necklaces are a great gift idea, especially for a "Sweet Sixteen." For example, aquamarine is the birthstone for March, ruby is for July, topaz is for November, and tanzanite is for December. Additionally, some people believe certain stones have special properties, and whether or not you believe it, choosing necklaces based on those properties makes your gift even more thoughtful. Emeralds are meant to increase spiritual awareness, sapphire is thought to provide protection and wisdom, while amethyst is supposed to protect the wearer from diseases and quicken intelligence. You have almost as many decisions to make when you are choosing a type of metal for a necklace as you have choosing a gemstone. Consider traditional yellow gold for a classic look, or white gold if you want a more neutral option that emphasizes the beauty of the stones. Platinum is a luxurious metal with the mark of distinction, while rose gold is trendy and vibrant. For a Christening or birthday gift for a child, a simple sterling silver necklace is a precious keepsake to cherish for years to come.